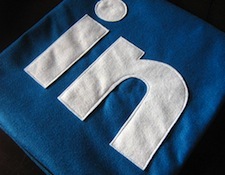 LinkedIn hopes to liven up its news feed with the addition of influencers who members can follow. Previously, the social network allowed professionals to follow industry news, company updates, and Groups. Moving forward, members will also be able to follow individuals. The company has invited 150 of the most influential thought leaders on LinkedIn, including President Barack Obama, Richard Branson, Craig Newmark, and more. Not only will members see status updates, but longer form and original posts with photos, videos, and Slideshare presentations as well. People will also be able to engage with influencers by liking and commenting directly on their posts. Influencers will have access to metrics, including which content is trending and where followers are based. Additionally, LinkedIn will recommend similar people to follow based on who an individual is following and the content he or she is reading. As the company continues to gather more data about user behavior, we expect that these recommendations will become significantly more precise. Over the next few months, LinkedIn plans to expand the list of influencers. If you’re interested in becoming an influencer, you can submit your request.